The Republican commemorations held in Belfast of the Easter Rising (in 1916 in Dublin) provided an opportunity to gauge public support for the two wings of the Irish Republican Army (IRA). Two British soldiers were killed in a bomb attack in Derry. Lord Widgery submitted the report of his findings to Reginald Maudling, then Home Secretary. 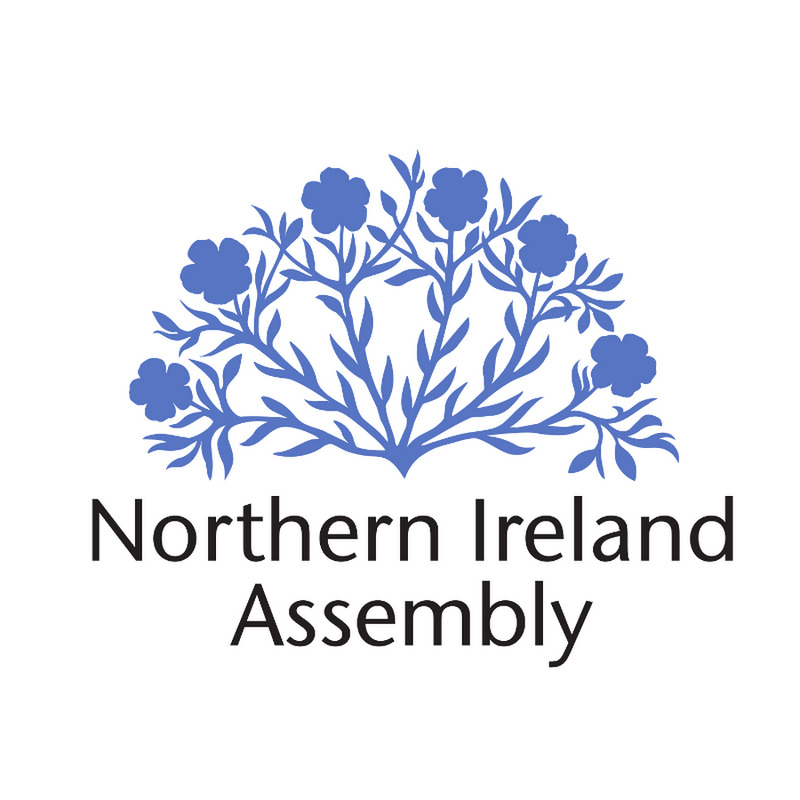 The British government introduced the ‘Northern Ireland Assembly Bill’ in parliament in Westminster. This bill was to pave the way for an assembly at Stormont based on proposals outlined in the White Paper, ‘Northern Ireland Constitutional Proposals‘, which had been published on 20 March 1973. Kevin McMenamin (10), a Catholic boy, was killed by the Ulster Volunteer Force (UVF) when they carried out a bomb attack on a Republican Clubs Easter commemoration parade in the Falls Road area of Belfast. James Molyneaux, then leader of the Ulster Unionist Party (UUP), Ian Paisley, then leader of the Democratic Unionist Party (DUP), and eight other Unionist Members of Parliament (MPs) took part in an illegal march in Belfast to protest at new Public Order legislation. The Irish Republican Army (IRA) exploded two bombs at the Baltic Exchange in the centre of London and killed three people including a 15 year old girl. The IRA warning proved to be inadequate and added to the confusion as it mentioned the Stock Exchange. [In August there were reports in the media that insurance claims amounted to £800 million pounds. 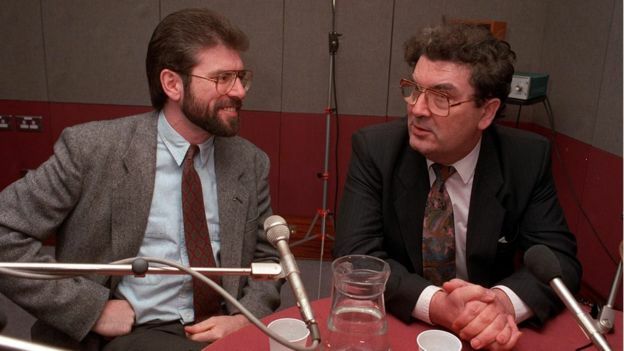 Hume Meets Adams Gerry Adams, then President of Sinn Féin (SF), was seen visiting the home of John Hume, then leader of the Social Democratic and Labour Party (SDLP), in Derry. The two men met for “extensive discussions” in their capacities as leaders of their respective parties. A woman Royal Ulster Constabulary (RUC) officer was shot and seriously wounded while she was on guard duty outside the Courthouse in the centre of Derry. The Irish Republican Army (IRA) carried out the attack. “I am pleased to announce that the two governments and the political parties in Northern Ireland have reached agreement”. The Agreement exceeded Mitchell’s deadline by almost 18 hours, and it was clear that there were elements of the Agreement which did not suit each of the signatories. The main points of the Agreement were: a Northern Ireland Assembly with 108 seats, elected by proportional representation; a 12 member Executive committee of ministers to be elected by the Assembly; the setting up of a North-South Ministerial Council within one year by the Assembly; the council being accountable to Assembly and Daíl; amendments to Articles 2 and 3 of the Irish Constitution, to establish the principle of consent, and the repeal of the (British) Government of Ireland Act; a Council of the Isles with members drawn from assemblies in England, Scotland, Wales, Belfast and Dublin. Later it was learnt that Bill Clinton, then President of the United States of America (USA), had made, and received, a number of telephone calls to party leaders in an effort to encourage them to reach a settlement. Ian Paisley, then leader of the Democratic Unionist Party (DUP), was heckled by some Loyalists as he addressed the media at Stormont. 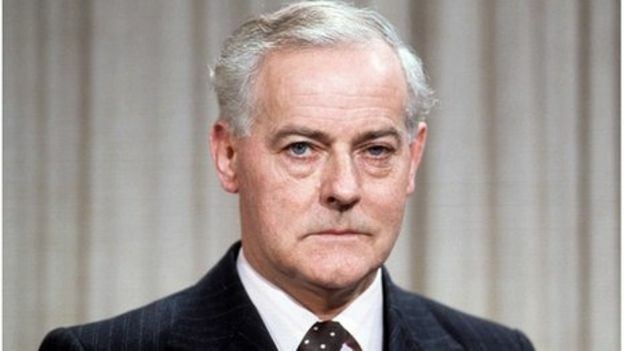 The DUP and the United Kingdom Unionist Party (UKUP), in addition to some leading members of the Ulster Unionist Party (UUP) led the opposition to the Agreement. The Orange Volunteers (OV) claimed responsibility for an attack in which a pipe-bomb was exploded at a public house near Templepatrick, County Antrim. One man was injured in the attack. There was an arson attack in north Belfast. Loyalists resumed their picket outside the Catholic church of Our Lady in Harryville, Ballymena, County Antrim. The picket was held, for the first time since spring 1998, at the church during Saturday evening’s Mass. Protesters said they would return the following weekend. Seven men were killed in road accidents during the weekend, four in the Republic of Ireland, and three in Northern Ireland. Killed in bomb attack on British Army (BA) foot patrol, Brooke Park, Rosemount, Derry. Shot at his workplace, Derrylin Primary School, County Fermanagh. Killed in bomb attack on Republican Clubs Easter Commemoration Parade, Beechmount Avenue, Falls, Belfast. Shot while walking with his relatives along pathway, off Springfield Road, Turf Lodge, Belfast. His relative the intended target. Official Irish Republican Army (OIRA) / Irish Republican Army (IRA) feud. Killed by car bomb which exploded outside Baltic Exchange, St Mary Axe, London. Inadequate warning given.